The day started out really early for me, in fact Friday night at about midnight when I was getting ready for bed, the rumors were swirling online that the line that was formed outside was possibly already at capacity and anyone getting in line might not be getting in for the Live Films panel at 10:30am Saturday morning. I thought about getting in line immediately at that point, but my wife wisely talked me out of it. Instead I woke up at 3:45 and headed straight for the Expo Center. We got in line at about 4:15 hoping we would make it. Turns out that we did make it in, and were some of the last ones to do so. Disney has to do something about this in the future because it’s ridiculous that you almost have to be in line from the day before to get in. Either get a bigger room or sell less tickets..
Our problem though was that during the Live Films panel the line was already forming for the Parks and Resorts panel, and we for sure wanted to be in the room for that as that’s my favorite event of the entire D23 Expo. The minute the Live Films one ended we rushed out the door and worked our way back into the line and were luckily also able to make it for Parks and Resorts. It was a great experience as we met some really cool people in line, one of them was Magician Jon Armstrong who made the 6 hours waiting much more fun, and props to Andy and his daughter for sharing their Gold Membership with us so we could get in. New Theater – 2019/2020: Again this has to be done in time for the 50th and will be modeled after the iconic Willis Wood theater in 1920s Kansas City, where Walt lived after he left Marceline. The is something the Magic Kingdom is sorely missing as it doesn’t have an entertainment location worthy of WDW’s flagship park. Word is that it will be a big one and should hold upwards of 2,000. 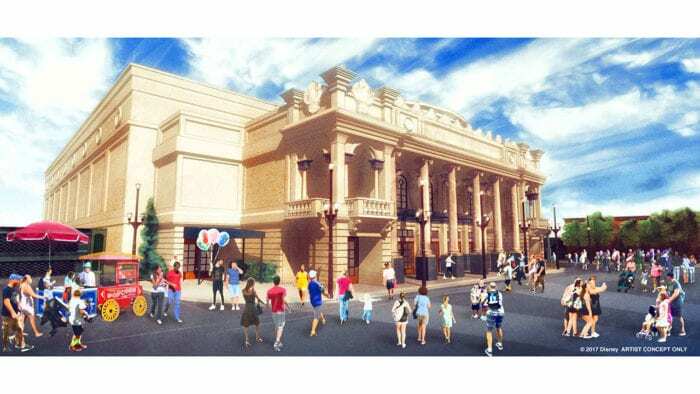 Expect a beautiful entrance with an indoor queue too and the location to be behind the side streets off Main Street USA, potentially eating up the space currently used for the in-park bus drop-off. What show will they put in there is the question. Will Frozen fever be at an all time high after the second film at that point, or will they go with a different IP, even something new? We’ll have to wait and see. 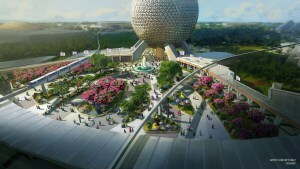 This is the big one as there are many changes coming to Epcot in the next few years. At the Expo though we only heard about some of them as they will be transforming the park in phases. 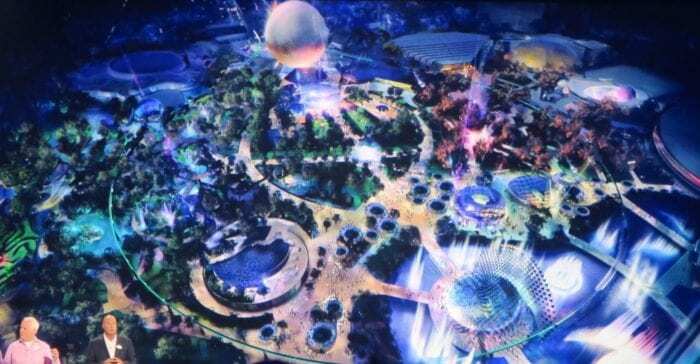 New Entrance/Future World – 2020/2021? 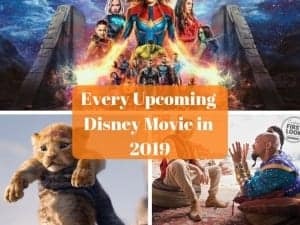 : This is one of the most shocking of the announcements as we thought Disney would be mixing it up, but didn’t realize HOW much! Just take a look at the concept art that makes Epcot look more like Adventureland than a hub of the future. What that means is Innoventions buildings and the old communicore are probably getting the axe, as well as the “Leave a Legacy” stones in the front(no complaint on that one from me). Also you can probably say goodbye to the fountain just past Spaceship Earth where the whole area will be transformed, but get a new fountain of some sort. This changes the look and feel comepletely to the park and will be adapted to fit Disney’s shift to IP’s in the park. Again wil be set before the 50th. Guardians of the Galaxy Coaster Replacing Universe of Energy – 2019/2020: This one wasn’t a shock by any means as we’ve been closely following it for more than a year now. Building of the tremendous success of the franchise, and the fact that Mission: BREAKOUT! is currently the #1 attraction in all Disneyland Resort, Disney definitely wanted to bring GotG to WDW, especially being one of the few Marvel properties they can currently put in a park east of the Mississippi. Again some backlash here because of the theming, but I’m not one of them. I get keeping the integrity of the original Epcot and all, but that Epcot no longer exists, and people are not coming here if there isn’t some kind of food festival going on. Epcot isn’t going back to the days of 1985, it just isn’t going to happen, so the sooner we make peace with it, the better we’ll be. 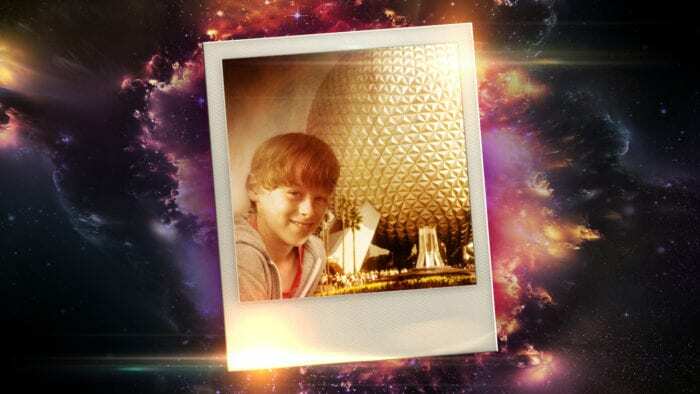 Disney today wants it’s IP’s represented in the parks and Epcot needs another E-ticket badly. Perfect match. If Disney makes this as fun as Mission: BREAKOUT! is, then we’ll be laughing over wanting to keep a 45 min Ellen ride instead of this. Ratatouille Ride in France Pavilion – 2020? 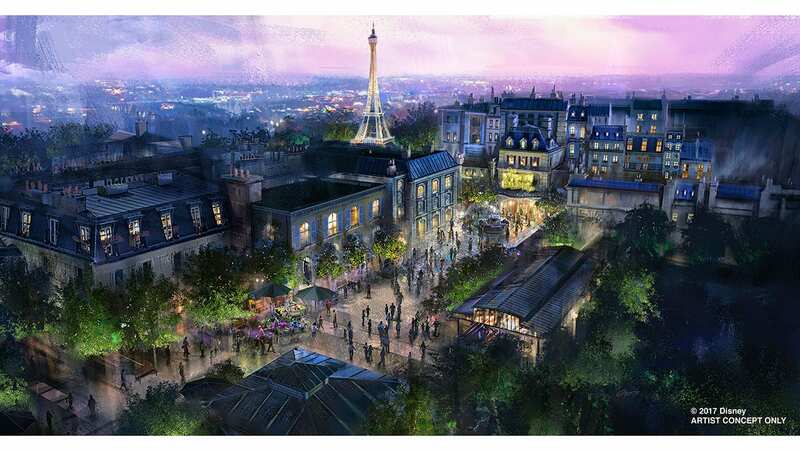 : Permits for this are already in motion so 3 years to build what will essentially be an almost clone of the original Paris one seem reasonable. In the Paris version the ride takes you to the Remy restaurant, but don’t expect that to be part of the attraction in Epcot. Impressions de France also looks safe with the queue going around it. This is going to be a good thing for World Showcase as Frozen has been one of the most popular rides in WDW since its opening and Ratatouille should follow suit. I love it and am excited for it to breath some life into Epcot! New China Film – 2018/2019: Filming hasn’t started yet but should begin shortly. 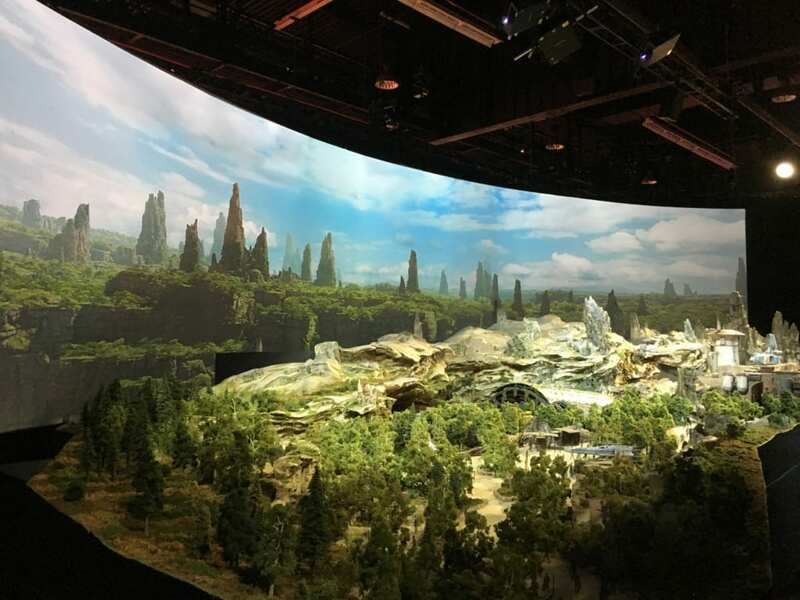 Even though this will be the third iteration of a film in China, due to Disney’s interests in China, (Shangahi Disneyland) they will make sure they are well taken care of, and a new 360-degree circle vision film will do the trick. Maybe they’ll add some seats now! 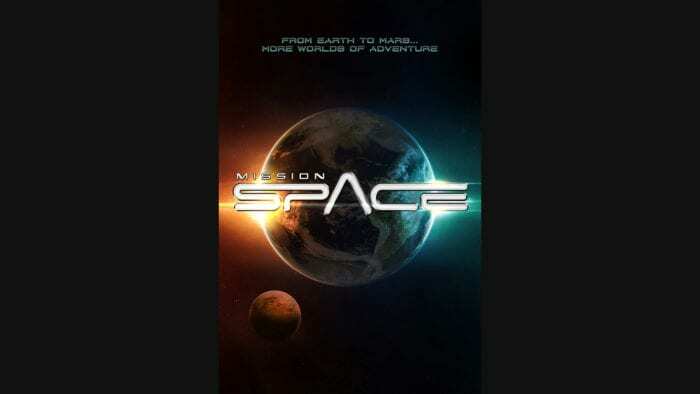 Mission Space Restaurant – 2019/2020? : Now this is something I want to try! Guests will find out what it’s like to dine actually under the stars as the whole place will be filled with giant screens that serve as windows and will simulate space and watching the stars and planets outside (a technology we’ll talk more about in a minute). I can’t wait to find out what out-of-this-world menu they put together… (sorry for the pun, I couldn’t resist!) The restaurant will be run by the Patina group which runs the hugely popular Via Napoli and one of my favorites Morimoto Asia. 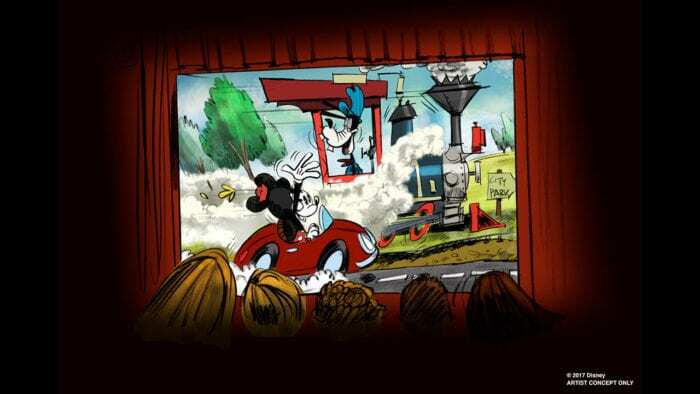 Mickey and Minnie’s Runaway Railway Replacing The Great Movie Ride – 2019/2020? : Another long-rumored one came true and we found out it will be using some ground-breaking “2 1/2 D” technology, which looks stunning! It’s being called one of the boldest projects that Disney has ever undergone. We got to see a video simulating what the attraction would be like and it looks like it will be a ride deserving of Mickey Mouse as the star. Now Disney hasn’t yet confirmed that it will in fact be going in the same place as The Great Movie Ride, but the writing is on the wall with it being shut down for good on August 13th. I’m actually shocked about the timing of TGMR closure as it’s leaving Hollywood Studios in a mess attractions-wise and I thought it would stick around until Toy Story Land to not have so many empty attractions at once. Also don’t worry about the Chinese Theater going anywhere as it’s firmly in place as the icon of Hollyood Studios. 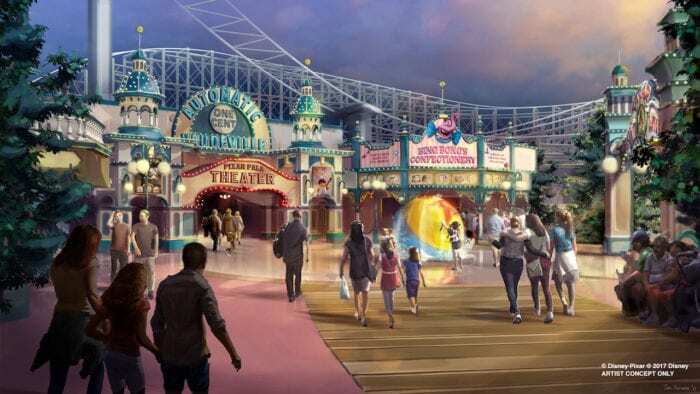 Another thing we learned is that even though the Mickey attraction is going in the same space as The Great Movie Ride, expect it to be significantly shorter in length as part of the track is getting cut. An opening after Galaxy’s Edge is likely. Toy Story Land Update -Summer 2018: Construction right now over at this next land is full steam ahead and Disney confirmed what we’d already reported months ago that it would be a Summer 2018 Opening. With the rate things are going up there currently I’d expect a Memorial Day weekend opening with soft openings in late April much like Pandora this year. 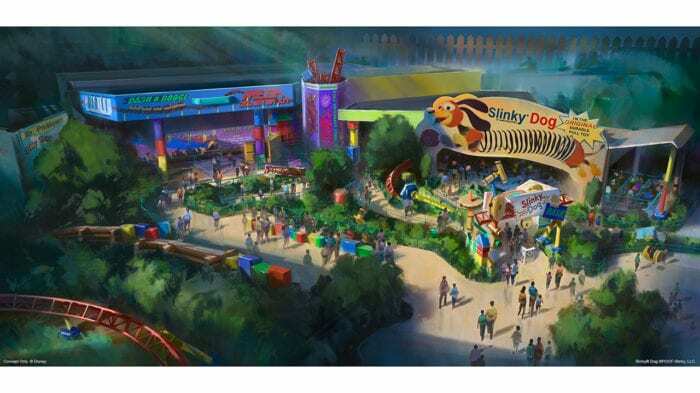 My take away was the new concept art for the Slinky Dog Dash Coaster, and how it is much more covered than the last version of the art which had the coaster more exposed like traditional ones. This is a big plus for me as a coaster with some parts inside has much more theming potential and a chance to actually make this exciting for children and adults alike. I’m predicting better than the Snow White and the Seven Dwarfs coaster turned out in Fantasyland. Star Wars Galaxy’s Edge – 2019: Lots and lots of news here to cover. Right away you see Star Wars Land finally got a name. We also got confirmation of a 2019 opening, with the Disneyland version opening first, in-time for the next D23 Expo in Summer 2019. This goes with the current construction progress as the Hollywood Studios version is a few months behind. We saw an amazing full size model of Galaxy’s Edge, showing where both attractions are going. The First Order Battle Attraction will be on the left side of the land, where there will be a rebel base that gets attacked by First Order troops. The size and scale of this is like nothing else we’ve seen in a Disney park. 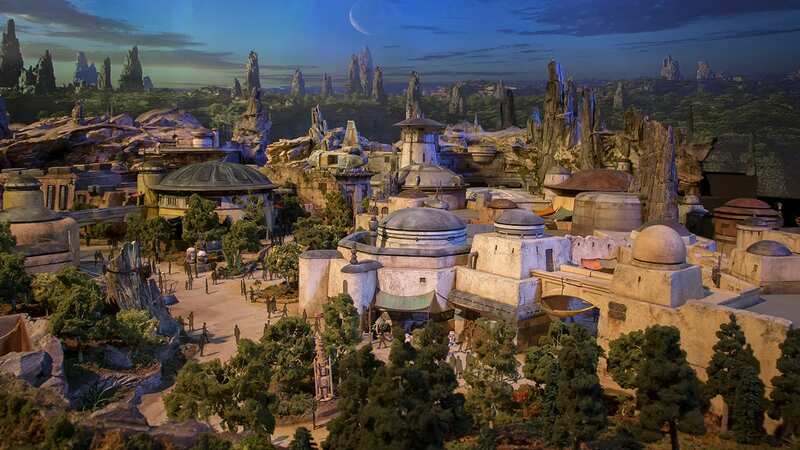 The attraction will be going under the mountains in the back of the land which are connected to the rebel base, and the whole thing is just mind-blowing. We got a look at the ride vehicle for it too. 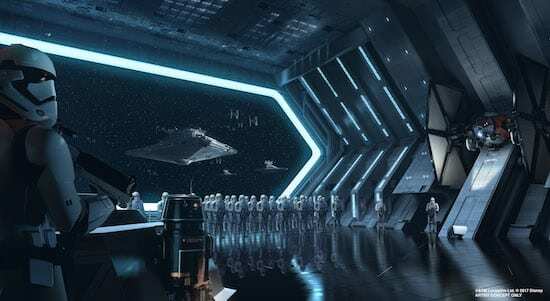 The Millennium Falcon attraction will be a simulation of sorts that puts you onboard the famous starship for a battle against the First Order and it’s going in the right back of the land. 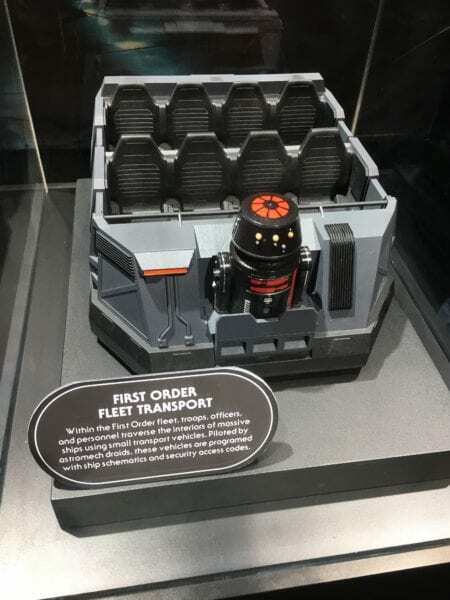 Details are quiet about it at the time, but we do know that for this ride and presumably the First Order Battle attraction, your actions have consequences and meaning in the rest of the land. They will both give you credits of some kind that you’ll be able to use in Galaxy’s Edge to further your story. 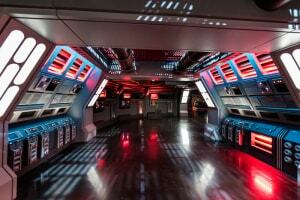 Plus the entire land will be immersed into the Star Wars universe, with cast members being totally in character. Expect lots of droids wheeling themselves around Galaxy’s Edge too! We also learned there is an expansion pod in Galaxy’s Edge in both parks that will give space for a future Star Wars attraction in the future. 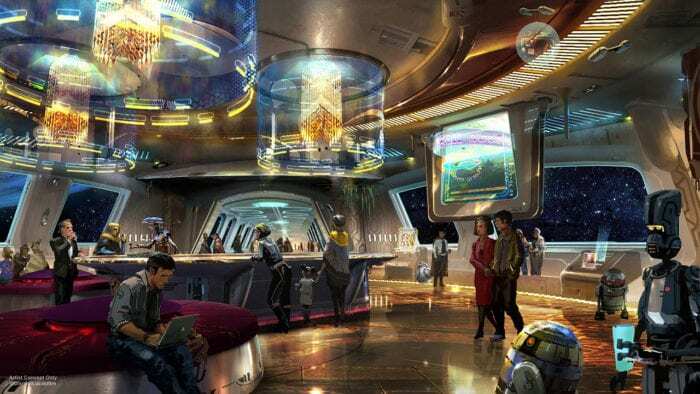 Star Wars Hotel – 2022? : This feels like a good segue into the Star Wars Resort seeing as we just talked about Galaxy’s Edge. This to me was the most surprising announcement of the weekend and also the one I’m most excited for. A Star Wars resort where the resort is the attraction and you don’t even have to go to the parks. Expect package pricing here much like they use for Disney Cruise, with packages starting at 2 nights and going up to 4 or 5 nights. Word is between $600-700 for the 2-night package for 1 person, then $200 more for each person, with up to 4 people in a room. This is expensive, but actually not astronomical considering it’s believed to include meals. Costumes are provided too. Essentially you are immersed in a Star Wars story for a few days, where again all the cast members in the resort play along and are part of the show. You have missions you and your fellow guests can also choose to do. Imagine getting a call telling you to meet Chewy in the lobby cause he has a mission for you! Where do I sign up? Did I mention that all the windows in the hotel will be just like those ones at the new Mission Space restaurant where you are looking into space? Expect Disney to first perfect those before using them in the hotel. Also your actions and missions you complete here will carry over to Galaxy’s Edge, truly a one-of-a-kind place that will be a must try for any Star Wars fans. Since it will be so connected to Galaxy’s Edge, expect an opening a good 2-3 years after Galaxy’s Edge. 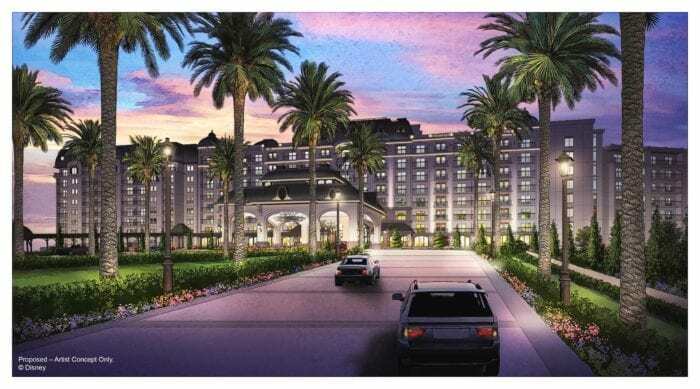 Disney Riviera Resort – 2019-2020? : This will be the 15th DVC resort and going on the land cleared out on the Caribbean Beach property. This was thought to be part of the Caribbean Beach Resort before the Expo, but now we learned it will be it’s own thing. Love the design and concept art. It will have 15th floor views of BOTH the Epcot Fireworks Show AND the Hollywood Studios Show! The California Grill better watch out as we could have a new prime location for dinner and fireworks at WDW. Star Wars Galaxy’s Edge – Spring/Summer 2019: Everything here is the same as the Hollywood Studios version expect this will open ahead of the Hollywood Studios one. 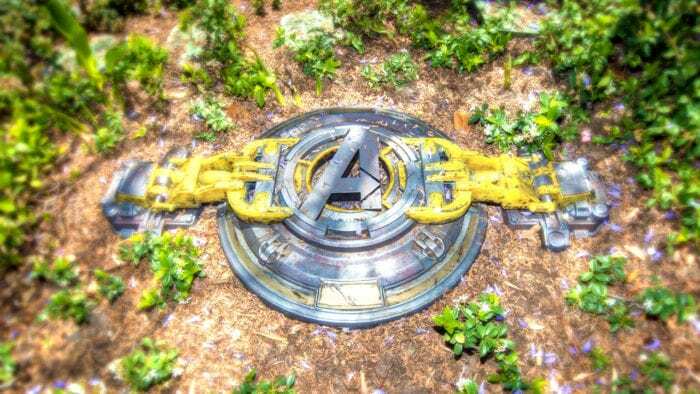 Marvel Land – 2020? 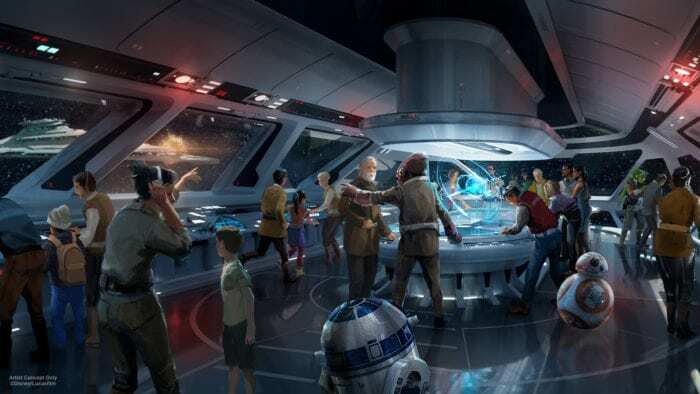 : This one is a guess on the timing, but it won’t happen before Star Wars Galaxy’s Edge, and after it will give the guests something to draw them to DCA for. We are in fact getting a land that will combine Mission: BREAKOUT! with two new attractions, one for Spider-man and one for The Avengers/Captain America. The Captain America one is rumored to be a coaster, and I haven’t heard anything yet for the Spider-man one, but a dark ride of some kind would be my choice. Again these are arguably the hottest IP’s in Hollywood at the moment and you can be sure Disney is going to ride that momentum all the way to the bank! And current contractual agreements won’t let Disney put the word “Marvel” in the title of the land, that’s why Disney didn’t use the word when telling us and it will be something more like “Super Hero Land,” (obviously cooler than that but you get the point). 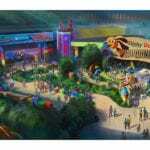 Pixar Pier – 2018: This should be in place by next year when Disneyland is launching a huge festival celebrating Pixar. Again we see a strong IP presence coming into the parks, and taking over a land that besides Toy Story Midway Mania doesn’t really have an IPs in it. Although again I don’t mind seeing a heavy IP presence in the parks, I want it done right, and I’m skeptical that 1 year is enough to do it. 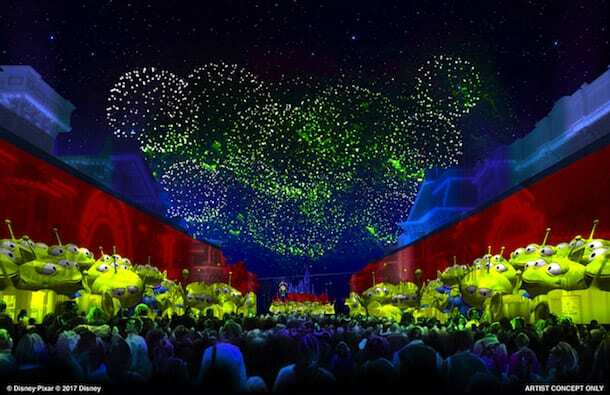 A new Fireworks Show based on Pixar is coming to Disneyland too and because of this, the Pixar Play Parade will move to Disneyland and Paint the Night will return to the resort, but this time at Disney California Adventure where a new Pixar float will be added. 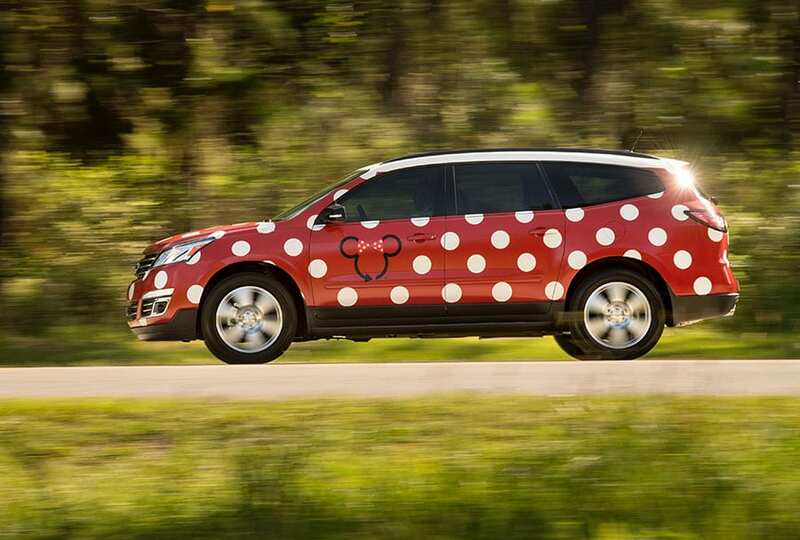 Minnie Vans – Now: Currently on-site and undergoing a testing phase is Disney’s response to Uber, Minnie Vans. This pick-up car service uses the Chevy Traverse SUVs which hold up to 6 adults with room for 2 small kids in the child-seats in the back, and offers guests an experience very similar to Uber as guests call the cars with an online app and then get picked up at the location of their choice. The $20 flat-rate is the main talking point, but there are a few pluses over Uber: 1. how cute these things are! Minnie Vans is the perfect name as they have Minnie’s trademark polka-dots styling. 2. Disney is making this a much more personalized service than you can get elsewhere, drivers will be knowledgeable about the WDW Resort and guests will be able to be dropped off at the front of the parks, for example Uber drops you off at the TTC when going to the Magic Kingdom instead. 3. It’s a bit more expensive, but it evens out if you have small kids yo need to put in car seats as those are extra charges from Uber. I haven’t yet taken one for a spin, but I like what I see so far and most experiences have been really positive so far! 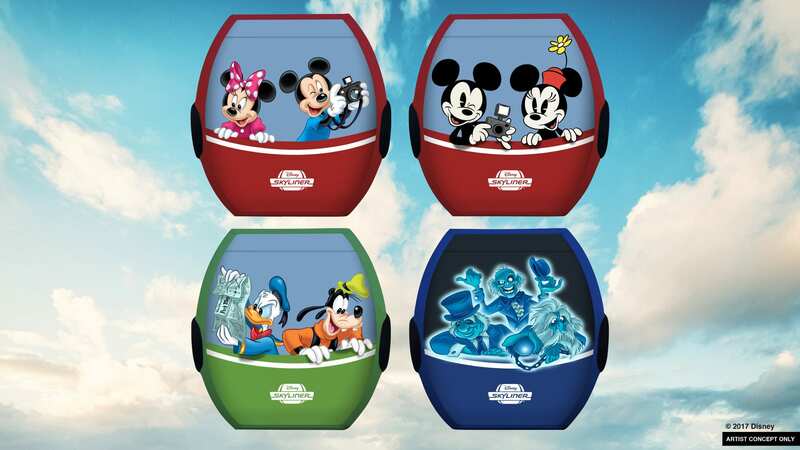 Disney Skyliner – 2018/2019? : The date is a guess, but construction has already started near the International gateway to Epcot so 1-2 years is a reasonable time frame for this new transportation system. I love the concept art for them we saw at D23 with the Disney characters on them, even though things are still in motion as Disney doesn’t yet have a manufacturer for the cars. Word was they were to be 10-person cars, we’ll have to wait and see if that stays true. This also is to be the first phase of the Disney Skyliner which connects guests between Epcot, Hollywood Studios, Caribbean Beach, Pop Century, Art of Animation and Disney Riviera Resort. Who knows how far the second or third phases will bring the Disney Skyliner, a lot is riding on how well this first phase does. I love this idea and think it’s going to be almost as popular as the Monorail, I have real fond memories of riding the Skyride in the Magic Kingdom as a kid so I can’t wait! 3 New Cruise Ships – 2021, 2022, 2023: We knew that 2 new ships were coming to the Disney fleet, but the third one was a big surprise. This means that Disney will now have 7 ships altogether and will have to make big decisions on the Magic and Wonder about how long to keep them in commission as they will both be around 25 years old when these new 3 are completed. 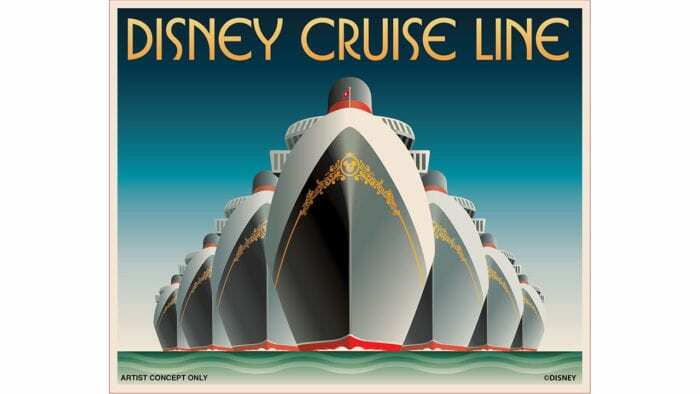 Disney would most likely run into a traffic problem at Castaway Cay with 7 ships, so could a second Disney island be in the works at that point…..stay tuned! I want to know what you think about the 2017 D23 Expo Recap. 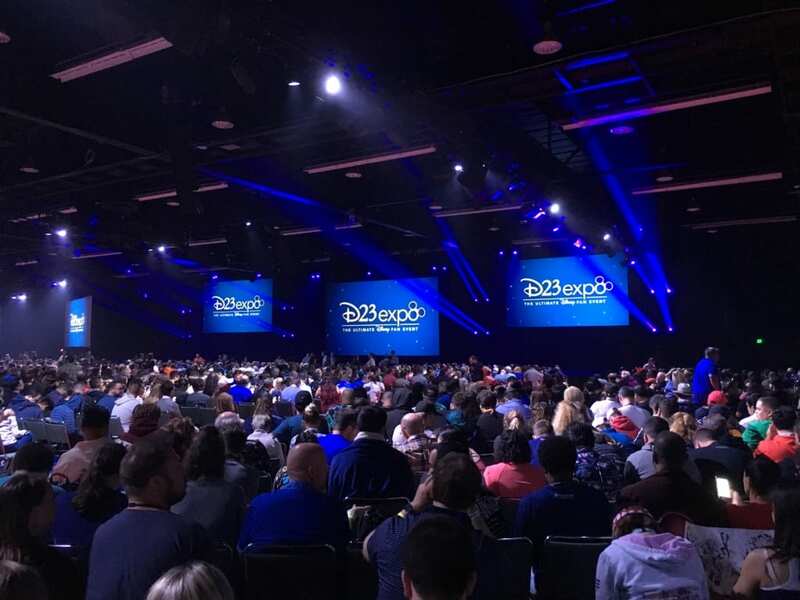 What was your favorite announcement from the D23 Expo and why? Let us know in the comments section below!